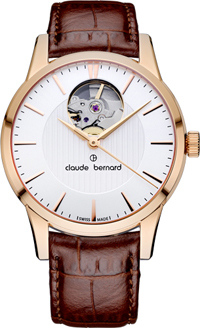 The new series of Claude Bernard Automatic Lady has four watches, each of which indexes and body with a PVD-coated – shades of “white gold.” Brown leather strap combined perfectly with both the dial color “dark chocolate” and a silver dial. Another “surprise” series – “open heart” hours. 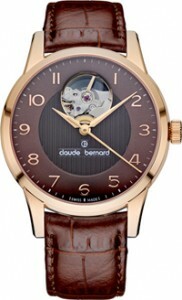 Thanks to a special “window” on the dial, as well as a transparent back cover, you can watch how the clock. Automatic Lady Series is unique in that each watch are hand-picked by Swiss craftsmen. The canons of the first watchmakers brand passed down from generation to generation for the past three centuries. However, manual assembly does not affect the value of models: 31 500 rubles.